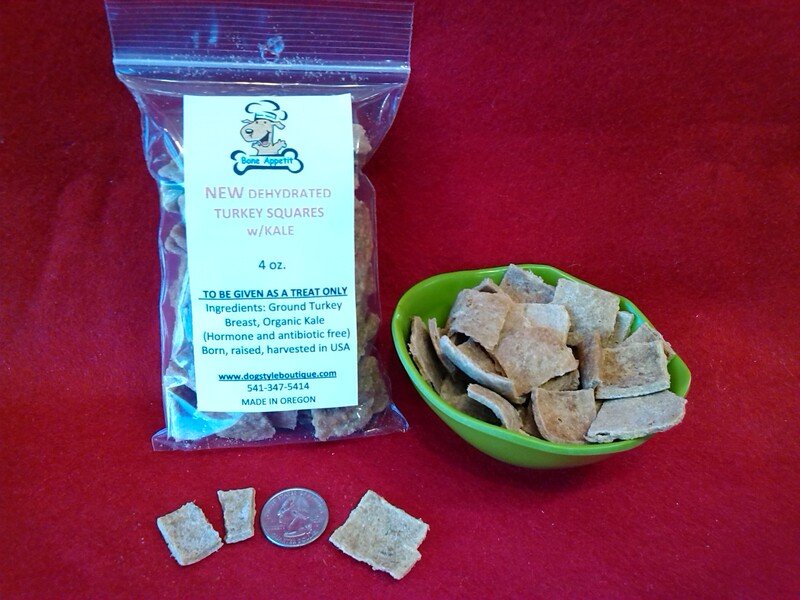 Treats are Handmade in Bandon Oregon, with 100% USDA hormone and antibiotic free turkey BREAST. This is a perfect LOW CALORIE and LOW FAT treat that your dog will love. Pictured is Dehydrated Turkey Squares with Bandon Blueberries. All Bone Appetit products are 100% USA.